Internet has got us all connected, presently. Now, we require the internet for almost everything, may it be related to our assignments in the colleges or for the official works. The Internet has become a vital part of our society and country in general. In Nepal as well, the use of internet has been growing at a faster pace. According to the internet world statistics, there were 50000 users of the internet in 2000 but coming to 2016, the number has reached to 6400000. This is a huge growth in few years. Nepal has also high number of�Internet Service Providers. The growth of internet users and clients in Nepal is directly related to the competitive market of Internet Service providers as well. Internet Service Providers (ISPs) are the organisations that provide access to the internet for the clients and also provide the services regarding its installation and maintenance. 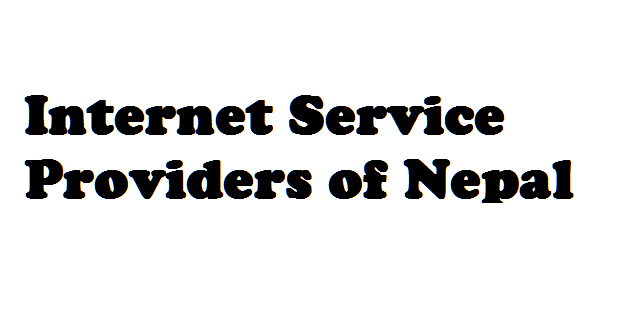 There are 43 registered internet service providers in Nepal. These ISPs provide internet through ADSL, wireless, cable, mobile, broadband and other services which differ from one another. With this large number of ISPs available, each with their marketing scheme and propaganda, one is sure to get into a dilemma while choosing the ISP for internet connection. How to choose�Internet Service Providers in Nepal? Making a choice of ISP, the first two things that we look for are the speed of the internet and its affordability (Fee). However, we tend to overlook the reliability, installation fees and after service supports. While making a decision of choosing an ISP, we should not make haste. There are plenty of ISPs in the market, and thus we should make a prudent decision after doing the research we can about these ISPs. Among the 43 ISPs in Nepal, here we provide you with the list of the best ones. Worldlink: Worldlink is regarded as the oldest and best internet service providers in Nepal. This ISP in Nepal is known for its blazing speed of the internet. It provides the services of broadband internet (cable internet) which is designed especially for home users, FTTH based fibre optic net and NET TV. It is also equally beneficial for the enterprises and thus is popular among the corporate. For the worldlink fibre (5 Mbps), three-month package costs Rs. 4100 that includes the installation charge of Rs. 500 and 12-month package costs Rs. 12000 in which the installation charge is free. For the cable zoom, the total package price of 3 months is Rs. 4100 with the installation charge Rs.500 and the 12 months package costs Rs. 12000 with no installation charge. Classic Tech: Classic Tech introduced internet service in 2009 and used optical fibre to provide Broadband Internet to its clients. It provides its services to large companies and corporate and thus has been used by Nepal Police Head Quarters, NPL, NAC, etc. For companies and large organisation, it provides the choices of a Dark core, Data Center Solutions, MPLS Intranet and Corporate intranet. Its unlimited packages start from 1Mbps to 12 Mbps. It provides free device and installation. The 3 Mbps, unlimited package costs 999 per months if subscribed for 12 months. It costs 1400 per month. Subisu: Subisu is a private telecommunication company, established in 1999. It provides cable internet services. There are two plan types for the home-based cable net: cable internet with clear TV and FTTH with clear TV. It has extended its services to more than 60 districts in Nepal. The price of wireless Internet for home use for 256 kbps bandwidth unlimited internet is NRs. 1050 per month and for 512 kbps internet, it costs NRs. 1725. Vianet: Vianet communication offers high-speed broadband Internet services for both the residential and business purpose. It was initiated n 1999. In 2011, it initiated Fiber Optics Internet Service. The 5 Mbps Pro package costs NRs. 11,700 for 12 months with free FTTH cable, free installation and free ONU device rental. One month costs 3,800 Rs. With free FTTH cable and free installation. ONU device rental costs 2500 Rs. Mercantile: Mercantile Communications provides you different types and speed of broadband internet services. It provides fast, reliable and secure internet in the home and office.� Wireless connection by mercantile provides you speed along with powerful security. The consumer broadband Econet rate list for office costs Rs. 3100 per month for 1 Mbps and Rs.1327 for 384 kbps. The installation charge is Rs. 2000 which is non-refundable.